Sussex Sharks' Jofra Archer. Picture: Anthony Devlin/PA Wire. The Barbados-born seamer, who completed his three-year residency period on March 17, was not included in the 15 named by national selector Ed Smith at Lord’s on Wednesday, but that is far from the end of the story. 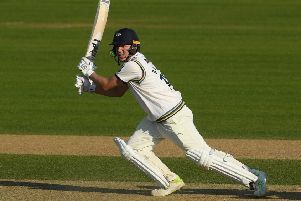 While the 24-year-old has failed to dislodge any of England’s existing attack in this first cut, tournament rules allow alterations to be made up until May 23, with both he and Sussex team-mate Chris Jordan offered a chance to impress. The pair will form part of an expanded 17-man party for the five-match series against Pakistan and could also feature in a Twenty20 against the same opponents and a standalone ODI versus Ireland. By extending the intrigue over Archer, England have made a show of faith in the likes of David Willey, Liam Plunkett and Tom Curran, all of whom might have come under pressure had Archer been drafted into the 15. 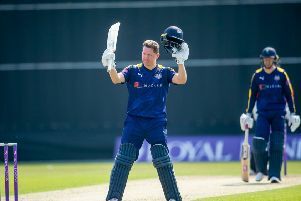 Smith said: “The selection panel has been impressed with Jofra Archer’s performances in domestic and franchise cricket. He is a very talented and exciting cricketer. The selection panel has been impressed with Jofra Archer’s performances in domestic and franchise cricket. He is a very talented and exciting cricketer. “Chris Jordan, a regular in IT20 squads over the past few years, has continued to develop as a cricketer - as we saw in the IT20s in the West Indies. He fully deserves his return to the ODI squad. The squad for the season-opening trip to Malahide sees more changes, with the Indian Premier League contingent of Moeen Ali, Jonny Bairstow, Jos Buttler and Ben Stokes rested alongside Chris Woakes. Batsmen Sam Billings and James Vince are drafted in response but their only prospect of seeing action at the World Cup is as injury replacements.